The San Diego chapter of the Better Business Bureau recently invited county high school students to submit essays on the importance of ethical business practices as part of the BBB’s [slider title=”Torch Award program”]The Torch Awards: As part of the 2003 Torch Awards for Marketplace Ethics, which honors local companies for their business ethics, a separate scholarship program was held. All local high school 11th and 12th graders attending accredited high schools in San Diego or Imperial Counties (graduating classes of 2004 and 2005) were invited to write a 400-word essay about the importance of marketplace ethics. A total of 207 essays from students at 57 different high schools in San Diego County were evaluated by the judges. Cox Communications was the sponsor of the Torch Awards Scholarship program. Kayleigh Shaw’s essay was the top winner.[/slider]. Chivalry Today is honored to be able to share the winning essay with our readers as a reminder that there are still knights in shining armor at all levels of American business. 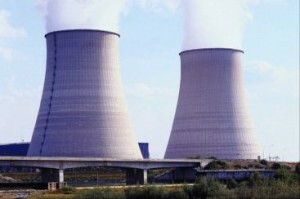 American business is very much like a nuclear reactor: It can generate positive output — products, wealth, jobs, prosperity — that are much greater in proportion than its initial input and capital. But it is also possible for things to go wrong, and the radiation from an ethical “meltdown” is just as widespread and devastating as that from a fission reaction. It can spread rapidly, affect the perception of investors and citizens about entire industries, lead to widespread unemployment, and ultimately bring about recession, depression and social upheaval on a grand scale. Our American market economy is dependent on several factors, but none is as important as honesty. Government regulation is, at times, necessary, but on the whole it is the honest dealings of the people at the top of companies that guarantees that the markets work. What happens when large companies go awry and dispense with honesty and integrity in the boardroom? Take California for example. The amount of damage that has been inflicted upon California over the past several years is a direct result of unethical behavior by the energy companies. Enron was one of the most glaring culprits. Their top officials misstated earnings and lied about profits to their shareholders. The effect has been as devastating as a radioactive cloud settling over the state. Californians are paying more for electricity and gas than ever before; we suffered months of “rolling blackouts” that hurt everyone’s ability to plan their daily lives or businesses, drove many small merchants into bankruptcy and led to higher unemployment. Ultimately, the governor was recalled because of mounting deficits and what some perceived to be his mishandling of the “energy crisis.” Investors are wary of the energy industry, companies are leaving the state and citizens want heads on sticks. Distrust, recession and social chaos are in direct correlation with the lack of real marketplace ethics. What brought this about? Lying and scheming in the boardroom. American capitalism demands honesty. Business leaders at all levels and in all industries must give an accurate, honest accounts of their fiscal health and activity. Anything less leads to distrust in and the fear of the markets that we all depend on, and gives revolutionaries, always searching for the chink the armor of free-market democracies, their opportunity.